Please make sure that your names match your passport ! What are you interested in? Mark all that apply. What is most important for this vacation? Which of the following options are most important to you? Do you need to book flights? Are you planning to redeem airline or credit card miles/points? Do you have any preferred airlines or hotel chains? Please include loyalty numbers if available. Any special dietary needs? Please list allergies, sensitivities or special diet requests here. Do you have any preferences for adults beverages (must have brands)? What would make this trip extra special for you? Anything else we should know? Which properties have you visited in the past? Have you loved/hated past resorts? Use this space to tell us! What is your timeline for booking? How did you hear about us? Don't forget our referral program for past clients! Upload any relevant files, documents. You may also upload the first page of your Passport here. You will receive a personalized recommendation with up to 3 destination or 5 resort options that meet or exceed expectations. Considerations for recommendations will include: travel complexity, location amenities, requested features of the resort or hotel, timing and budget. This planning agreement expires within 60 days of submission. It is the responsibility of the traveler to complete all necessary paperwork and provide payment means in a timely manner. Unfortunately, my crystal ball is on the fritz. The Psychic Friends Network is no longer in service. The traveler understands that the recommendation and resort selection process is dependent on quality feedback and communication. Effective communication and specific feedback are vital to a productive, collaborative relationship. As part of this agreement, the traveler commits to providing timely and detailed feedback on the resort and/or destination recommendations. Thanks for your cooperation until my psychic abilities are restored. Travel planning involves time and expertise. Our recommendations are based on personal experience and professional resources. The supplier partners that we select are chosen based on their ability to meet your specific needs. Your final itinerary should meet or exceed your expectations. In order to perform the professional services required to plan and arrange your travel, a consultation fee is required. This deposit is due at the time of agreement and is non-refundable and non-transferable. In the unfortunate event that plans are cancelled or if the itinerary is not fulfilled for any reason, the consultation fee remains non-refundable and non-transferable. We accept Master Card/ VISA/American Express/Discover via PayPal. Payment may be made via this form, or an invoice can be sent upon request. We do not accept checks or cash. A valid US Passport is required for international travel. The US Department of State recommends that passports are be valid for at least 6 months beyond the scheduled departure date. Passengers with prior criminal convictions are responsible for ensuring that they are not restricted by the laws of the country to which they are traveling. For example: Travelers with DUI/DWI convictions may be prohibited from traveling to Canada. Passengers traveling without proper documentation or meeting destination requirements may be denied boarding or entry to an international destination and will not be entitled to a refund. Important: For international travel, booking name must match your passport exactly (first, middle, last), no exceptions. For information regarding passport applications or renewals, please visit the U.S. Department of State website. Alpaca Your Bags Travel is not responsible for disruptions in your travel plans due to travelers providing incorrect information. This consultation agreement only applies to travel planning provided by Alpaca Your Bags Travel LLC. This agreement does not represent fees associated with resorts, airlines and other vendor services. Any resort, airline or vendor penalties incurred by the traveler as a result of changes or cancellation are the sole responsibility of the traveler as presented in subsequent invoices and agreements. Please note that a signed copy of this agreement must be received by Alpaca Your Bags Travel before planning can begin. We will notify you upon receipt of this agreement. Alpaca Your Bags Travel reserves the right to terminate this agreement if the travelers become hostile to the point where we are unable to complete the duties included in this agreement. We will not tolerate offensive language or abusive behavior at any time during the planning process. Kindness is appreciated. If this clause is invoked, any monies paid will be forfeited by the client. By submitting this form, I agree to the terms of this agreement and give authorization for Alpaca Your Bags Travel LLC to charge my card for the planning fee outlined above. I understand that this payment is completely non-refundable and non-transferable. I have read and agree to all of the above terms and conditions. Clicking "Submit" will open a NEW WINDOW where you will enter your payment information. If you have a Paypal account, you can login and pay from your account. 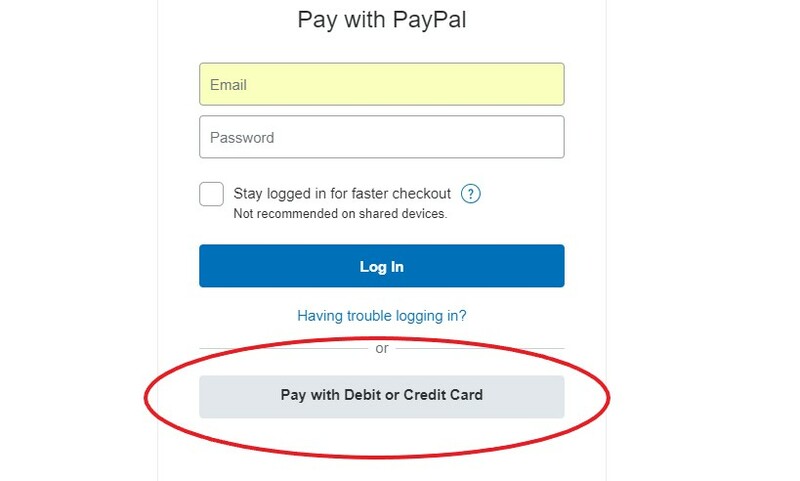 if you do NOT have a Paypal account, there is an option to pay with a credit or debit card. You must complete the payment process or the form will not submit. Thank you!